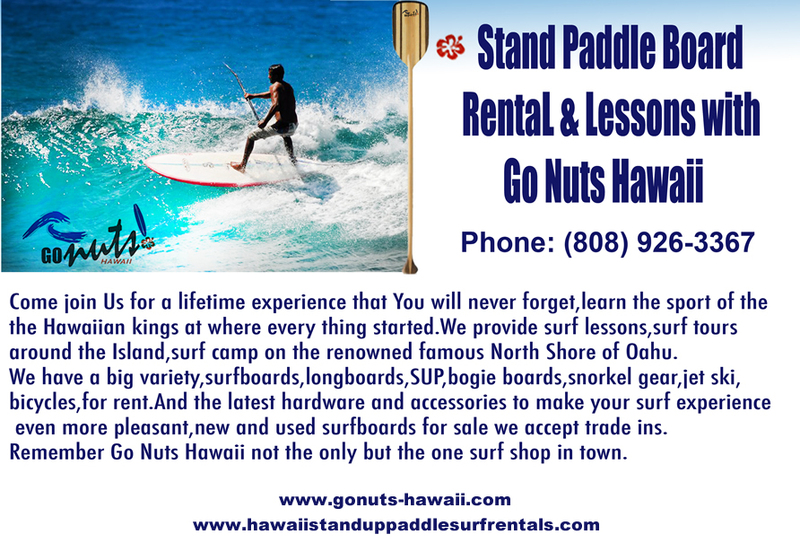 Go Nuts Hawaii brings to you The first Stand Paddle Board Rental On Line. Rent you Stand Paddle Board ON LINE and get a Free Delivery ! Immerse yourself in the Aloha spirit by riding the waves with us. Our warm and welcoming professional instructors provide surf lessons that gently introduce both kids and adult beginners to the world of surfing! On this Surf Lesson video bellow you will see how fun and safe surfing can be! Watch our Surf Lesson video and come surf with us! 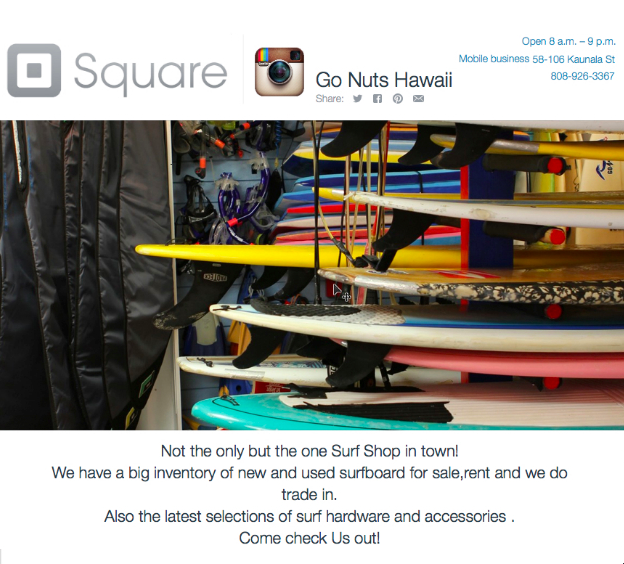 Come to check our great variety of surfboards, funboards, longboards and Stund Up Paddle Boards. We also have all surf gears you might need. Leashes,grips, wax, fins, water cameras, etc. Our surf lessons are 100% satisfaction guaranteed, or your money back! All instructors are state certified and carry a surfboard instructor's license, also referred to as the "blue card", and are well versed in the art of surfing, the surfing area, CPR, and life-saving. The Northshore is the natural choice for families, foodies, nature lovers, surfers, golfers and art enthusiasts. Come enjoy the relaxed atmosphere of our Surf Camp, located on the beautiful north shore of Oahu, a few steps of Velzyland Beach. Stand up paddle surfing (SUP), or in the Hawaiian language Hoe he'e nalu, is an emerging global sport with a Hawaiian heritage. This core fitness exercise has no-impact, and improves balance, coordination, strength and endurance. Also a stress reducer for people of all ages and abilitys. Its super fun!